Valentine’s Day is fast approaching, which means it’s time to start thinking about Valentines Day gifts, Valentines Day flowers, and bouquets once again. 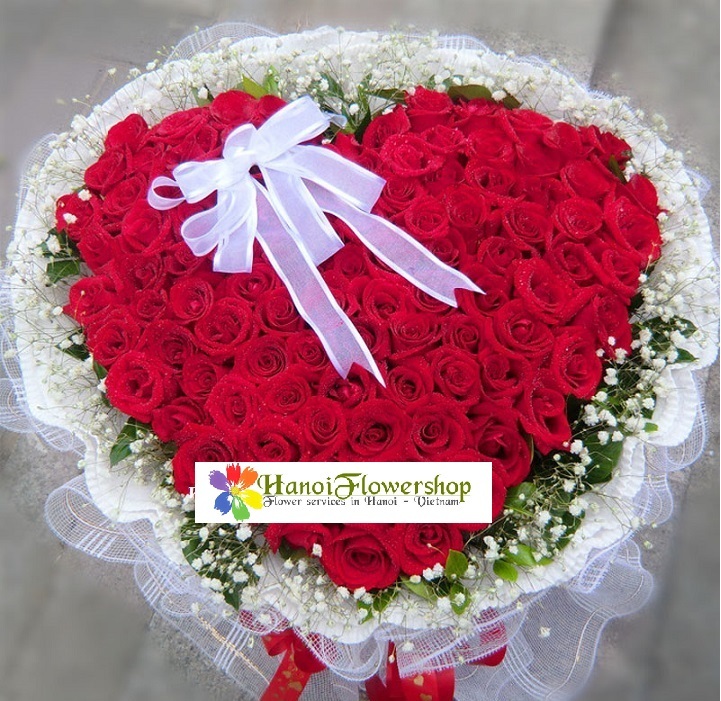 Browse Hanoi Flower Shop‘s collection of best selling Valentine treats and presents, and find something beautiful that your loved one won’t soon forget. We can help you celebrate Valentine’s Day with romantic. Send Valentines Day flowers to an important person; order Valentine gifts to your love here. Beyond Valentine’s Day flowers, Hanoi Flower Shop also offers a wide variety of Valentine gifts and gourmet gift baskets, filled with delicious cookies and candy, gourmet coffee, fine wine, and perfectly ripened fruits. Take a look through our Sweet Shop, featuring more delicious options such as chocolate covered strawberries. And if you’re looking for a truly special gift, please contact with us now. Order your Valentine’s Day flowers from Hanoi Flower Shop today, and let our friendly and knowledgeable staff take the guesswork out of gift-giving. At Hanoi Flower Shop, we make Valentine’s Day so fun. And don’t forget: Hanoi Flower Shop has the perfect gift for any special occasion, including sympathy flowers, christmas flowers, thank you flowers, birthday flowers and more. This entry was posted in Valentines Day and tagged chocolate, flowers, gifts, valentines day on January 19, 2015 by hanoiflowersshop.